4) The History of the Kings of Britain, by Geoffrey of Monmouth, dating to the middle 12th century. This is the beginning of the King Arthur legend as we know it. Geoffrey was born in Wales, but worked for his patron, Robert of Gloucester, who was particularly interested in legitimizing the claim of his sister (Matilda) to the English crown. Thus, the confusion of landmarks which moved Arthur from Wales to England proper, and the romanticizing of the tale, including the notion that Britain was originally conquered by Brutus, the son of the Trojan hero Aeneas, and thus Britain was ‘classical’ in origin. 5) Roman y Brut (The Romance of Brutus) is the translation of Geoffrey’s work into Anglo-Norman verse. It takes much of Geoffrey’s story and adds the round table, courtly love, and chivalry, thus transforming Arthur from a Welsh warrior to a medieval, Anglo-French knight. From this point, the Welsh Arthur is all but lost, and the Anglo/Norman/French ‘King Arthur’ is paramount. By 1191, the monks of Glastonbury were claiming knowledge of his grave, and soon after, the link between Arthur and the Holy Grail, which Joseph of Arimathea supposedly brought there. By 1225, monks in France had written The Vulgate Cycle, telling of the holy grail from the death of Jesus Christ to the death of Arthur, and included the romance of Lancelot and Guinevere. This story became the standard version used throughout Europe. Whether or not King Arthur was a real person is an either/or query. He either was or he wasn’t. Many scholars, researchers, and Arthurophile’s have strong opinions on this topic, both for and against. Because of the paucity of written records (most notably, Gildas fails to mention him), much of the academic work has come down on the side of ‘wasn’t’—or at least if Arthur was a real person, his name was not ‘Arthur’ and he possible wasn’t even a king. As a side note, the Welsh sources, particularly the dream of Dream of Rhonabwy, make Modred Arthur’s nephew and foster-son, not his illegitimate son as many readers might know him. This version of events is carried through to Geoffrey of Monmouth’s version of the Arthurian story. Arthur’s illicit/incestuous relationship with his sister, Morgause or Morgan, is a later (French) addition. For the purposes of my book Cold My Heart, I choose to believe that Arthur was real, that he was backed into a corner by his duplicitous nephew, Modred, and—as in the Dream of Rhonabwy—he did not die at Camlann as the Norman/French/Anglo version says, but lived to see his country securely in the hands of a worthy heir. 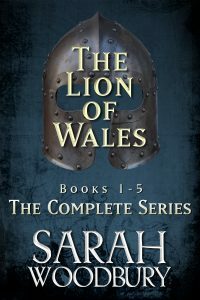 At the same time, the world of Cold My Heart rests in the balance between the historical Wales of 537 AD, and the quasi-medieval Arthurian world that readers have grown to love throughout the ages. 1. The Christian Church was not as full blown and organized as portrayed in Cold My Heart. Although St. Dafydd was appointed Archbishop around this time, he did not have ecclesiastical control over Christianity throughout Wales and organized Christianity tended to center on small groups of monks/nuns or hermitages. Many people remained pagan. 2. Saxons had only just begun to fight on horseback. They rode horses, of course, but cavalry weren’t necessarily part of their repertoire. Nor the use of bows. 3. A ‘knight’ is a medieval notion, but it is impossible to portray Geraint, Bedwyr, Gareth, and Gawain without using the word. Forgive me.